In recent version of its mobile OS, Apple added a cool new feature that allows you to “Offload” apps. I tested this feature in iOS 11 beta. If you have a low storage model of an iPhone, you can understand the pain of full storage. As iPhone lacks storage expansion, you will end up deleting your photos or videos. This new offload apps feature helps in this case. What does Offload Apps do? “Offload Apps” is a nice feature that removes few of your apps to free storage. You can either manually offload an app or let iPhone decide. It basically does this based on app usage for certain time period. If you do not use an app for certain time period, it will be offloaded. But, it keeps your app data. In case you again install the same app, it will restore your data and you will not have to start all over again. 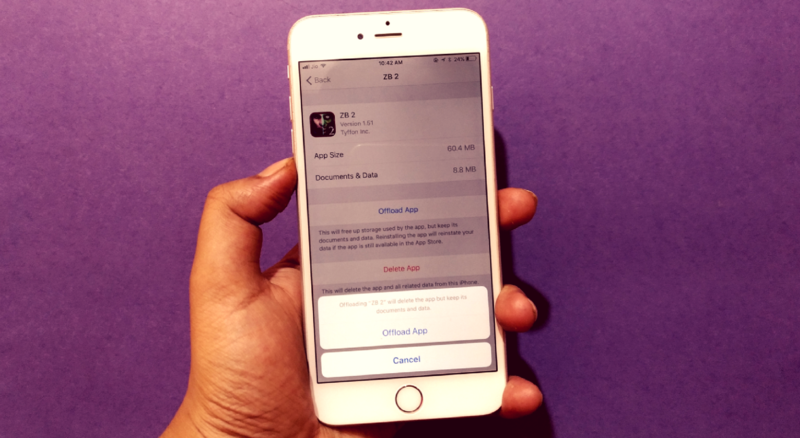 If you are ready to use this feature, keep reading how to offload apps in iOS 11 to save storage space. This feature was added in iOS 11 that is currently available in iOS 11 beta. Beta version is slow and buggy. If you are ready to try this, you should be ready to face issues with your phone. You can read how to install iOS 11 beta on iPhone. Top offload a specific app, open the Settings app, tap on General and tap on iPhone Storage. Now scroll down to the app you want to offload. Tap on that app and in a new page, select the Offload App. It will also ask you to confirm. Here, tap Offload App again. If you want iOS to Offload unused apps, you will have to enable it. Open Settings app, go to iTunes & App Store and enable the toggle in front of Offload Unused Apps. Now you know how to enable the Offload apps option. Try this to solve your storage issue. Many of us install several apps but use only a few, but we never uninstall unused apps just to avoid app data loss. This feature helps a lot because it keeps your app data. So, try this feature and offload the unused apps. Also, let us know your opinions in the comments section below.